Ideal for protection of the face from grinding or any activity where small particles may fly towards the face. It is very important to protect the face in many environments where chemicals, grinding sparks or hot substances are being worked with. This is different from just protecting the eyes as it protects the whole face. Your eyes are of course very important but often you need to protect the face as well , even if it is not regular that things fly toward your face but even if there is a small chance, even using a leaf blower or a dust blower can cause issues unexpectedly. Your skin and face are part of your identity and you want to keep them at least as good as they are for years to come and avoid any sort of damage or scarring and of course the possible pain associated with this. This is also important in protecting your company from claims against it by looking after your most valuable asset, your skilled workers. Prevention is always better than cure. 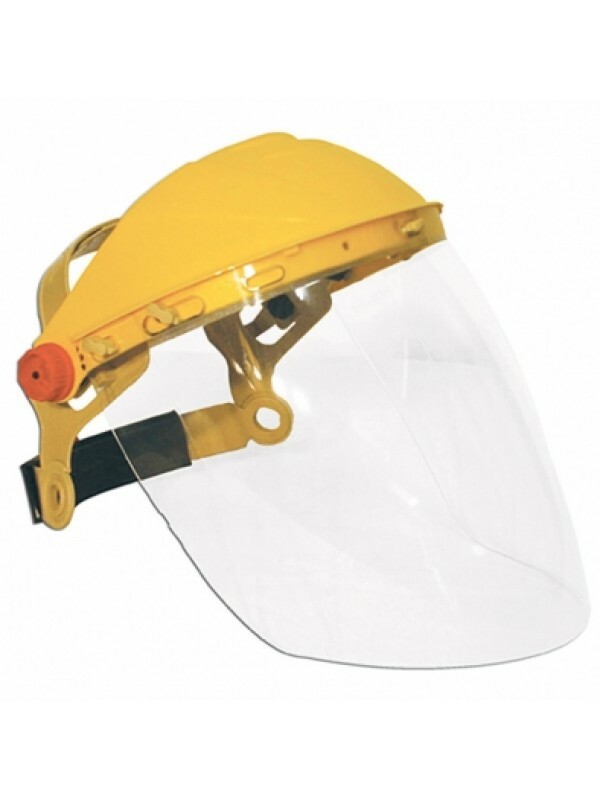 We highly recommend this clear face shield whenever what you are working with, added with a bit of kinetic energy, could potentially cause damage to your face.